I started this blog over again here, and plan to post some thoughts here from time to time. Next week is Halloween, and what better time of the year to start a fresh blog, eh? 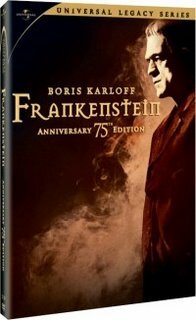 Plan to watch some great horror viewing tonight - not sure what just yet, but perhaps the 75th anniversary Frankenstein dvd. Universal keeps repackaging these old classics, and folks like us keep buying them, don't we? But that's what being a fan is all about!